Our visitors within reasonable range of Key West may find this a fun event and a chance to pick up hand-crafted souvenirs of their time here. This weekend we welcome the 32nd Annual Key West Craft Show. 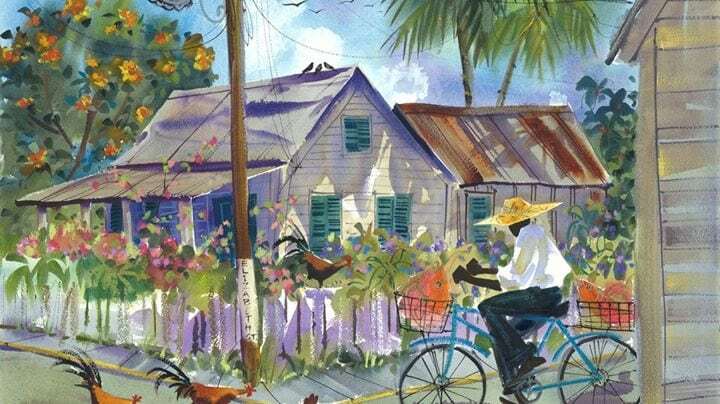 This two-day, nationally recognized outdoor craft festival will bring over 100 fine and skilled craft artists to this beautiful and historic area of Key West. Exhibitors will set up along Whitehead Street from Greene Street to Eaton, and on Caroline Street through the famous Presidential Gates into the beautiful Truman Annex. Hours of the event are from 10am-5pm Saturday & Sunday. This is one event craft and art lovers in the Florida Keys do not want to miss! Watercolor painting by featured artist Martha DePoo.